By mid-July I will have accumulated a big heap of distichs which I can sort for vocabulary as I pull together the book. Many distichs, of course, have unusual vocabulary - in fact, I have even found a few distichs with eight or nine or ten words that are not on the DCC List! Charming as those distichs are, they will not be going into the book. Instead, I will be focusing my efforts on poems where readers can expect to find vocabulary that is, for the most part, already familiar to them. The DCC Latin List provides the 1000-word vocabulary, listed alphabetically, with macrons, essential forms, and a brief English definition. DCC Latin List Methodology. This page provides a helpful explanation of the sources used in creating the list, starting with Diederich but with important supplements and adjustments. 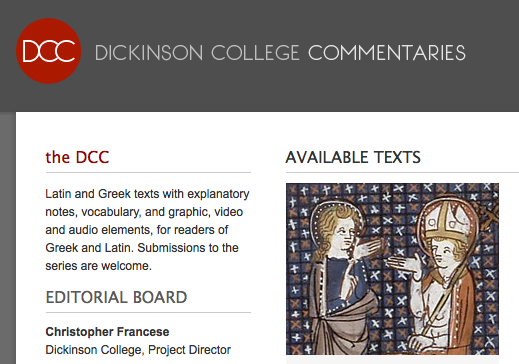 Coming soon: As work continues on the DCC site, there will be vocabulary lists by parts of speech and semantic groupings, along with other materials to help Latin students who are still in the process of mastering the basic vocabulary. I will update this blog post as those materials become available. In addition, I hope that others will feel encouraged to contribute to the great start made by Francese and his colleagues. For example, perhaps teachers working with specific textbooks will prepare lists of words in the DCC list which are not covered in the textbook and which, therefore, students will need to learn independently. Meanwhile, speaking for myself, I am profoundly grateful to the editorial group at DCC for this list. Readers of this blog probably know that I have been waiting on a list like this for years - something that is frequency-driven, not textbook-specific, and freely available to one and all via the Internet. 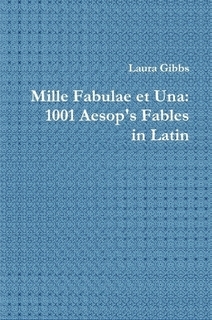 I hope it will allow me to produce a truly reader-friendly collection of distichs this summer, to be followed up by more reader-friendly Latin projects in future summers, too (I can begin work on easy-to-read fables at last, guided by a core vocabulary list, and I also want to update Latin Via Proverbs based on this vocabulary-driven approach). And for those of you who have not yet taken a look at the wonderful texts already available at DCC, you are in for a treat: enjoy!